Spain’s MAPFRE took first place in the first in-port event of the 2017-18 Volvo Ocean Race this past weekend in Alicante, Spain. A light-air warmup, the event was a tactical one that ultimately saw MAPFRE beating the rest of the fleet by an impressive 90 seconds before crowds of adoring home-town fans. At the start, skipper Xabi Fernández and his team made the bold call to duck behind the entire fleet in order to sail up what turned out to be the favored right-hand side of the course. Coming from behind this way, they had a narrow lead at the first gate, a lead they successfully defended all the way to the finish. “It was pretty clear that we wanted to hit the right side of the course in the first upwind leg looking for more breeze," explained Fernández. "The truth is it wasn’t an easy race, but we took a bit of a risk at the start, and everything went really well." Behind MAPFRE, it was also a hard-fought race from start to finish. Sun Hung Kai/Scallywag, for example, was strong on the first leg, but dropped back over time. 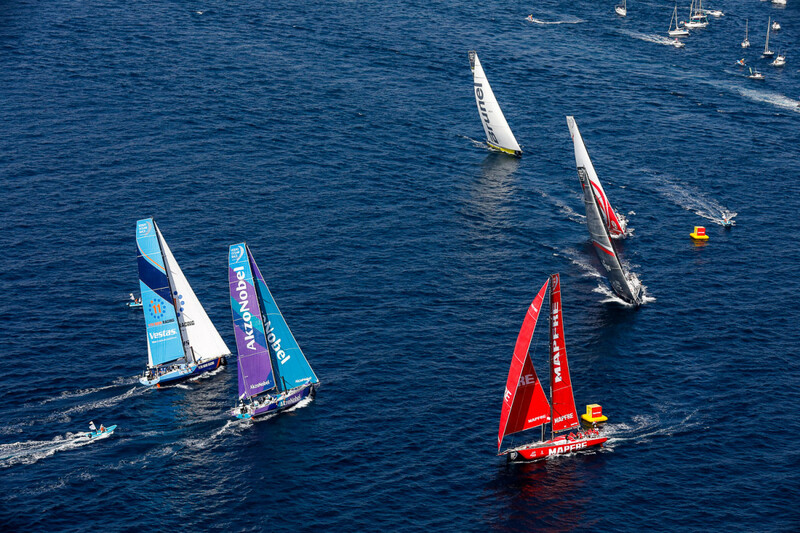 In contrast, Dongfeng Race Team fought its way up the fleet to grab second place, battling with Vestas 11th Hour Racing and Team Brunel, who traded places throughout. The ultimate finish order was: MAPFRE, Dongfeng, Vestas 11th Hour Racing, Brunel, Sun Hung Kai/Scallywag, AkzoNobel and Turn the Tide on Plastic. For more on the VOR, click here.